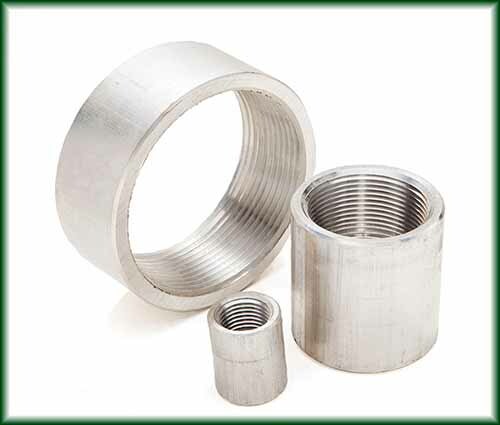 Pipe couplings are used to join two pipes together or attach a pipe to another device. 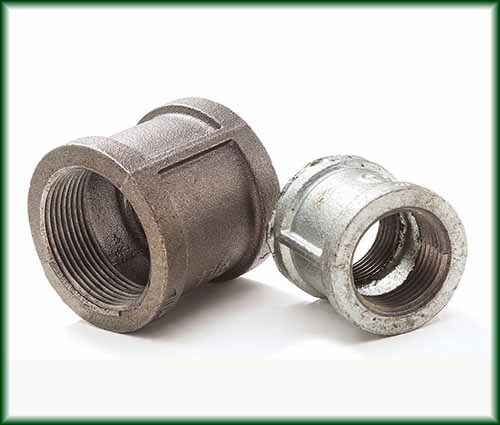 Full Couplings join two pieces of pipe together. 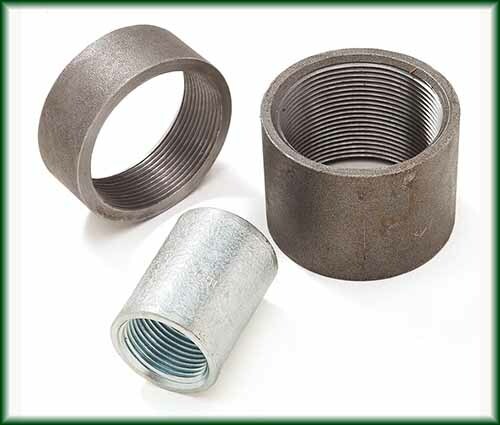 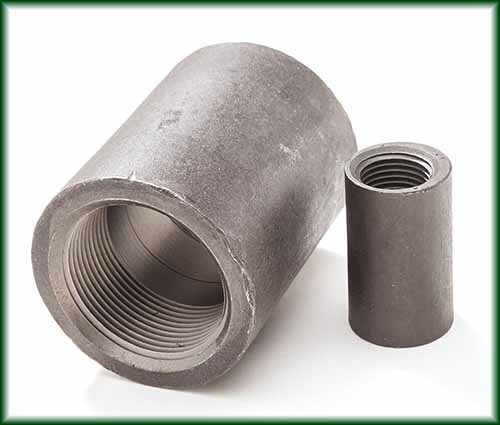 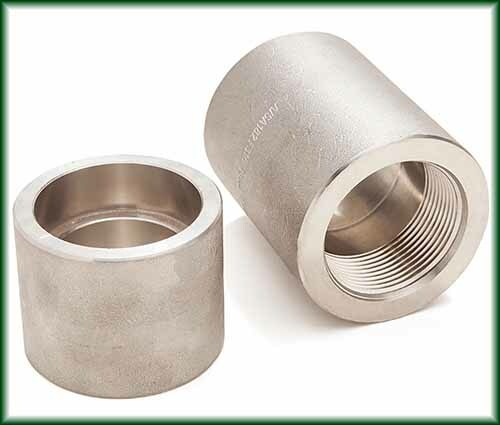 Half Couplings fit on the end of one piece of pipe and the other side of the coupling acts as a branch connection to join into an equal or larger size pipe. 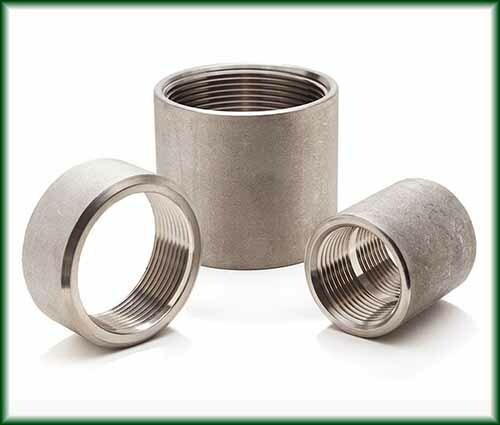 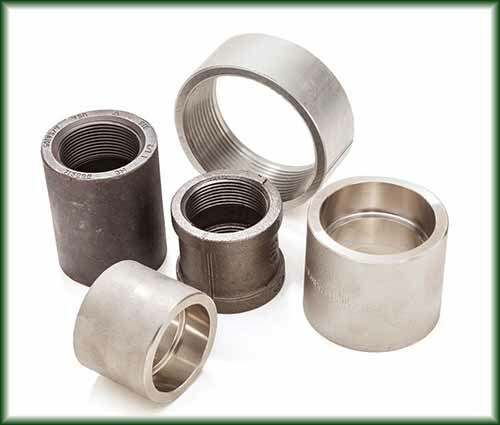 Couplings are stocked in Aluminum, Carbon (Forged) Steel, Malleable Iron, and Stainless (304 and 316) Steel.